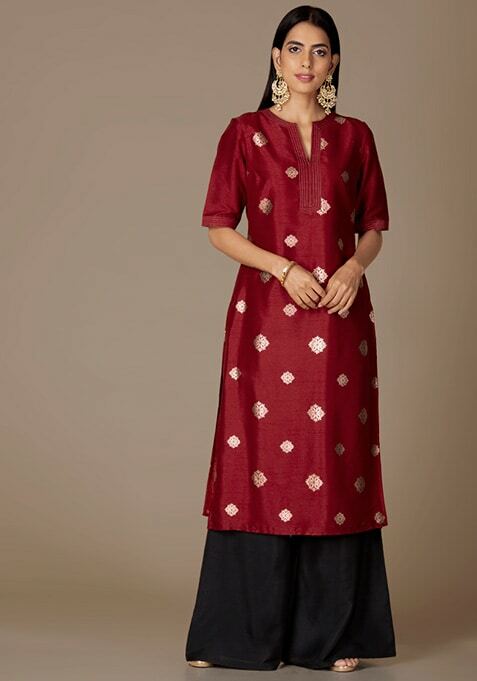 Simple yet striking, this oxblood straight kurta helps you easily sail through a number of occasions. Features gold foil print, three quarter sleeves and slit V-neck. Work It: Wear this kurta with cigarette pants and complete your look with a matching dupatta.